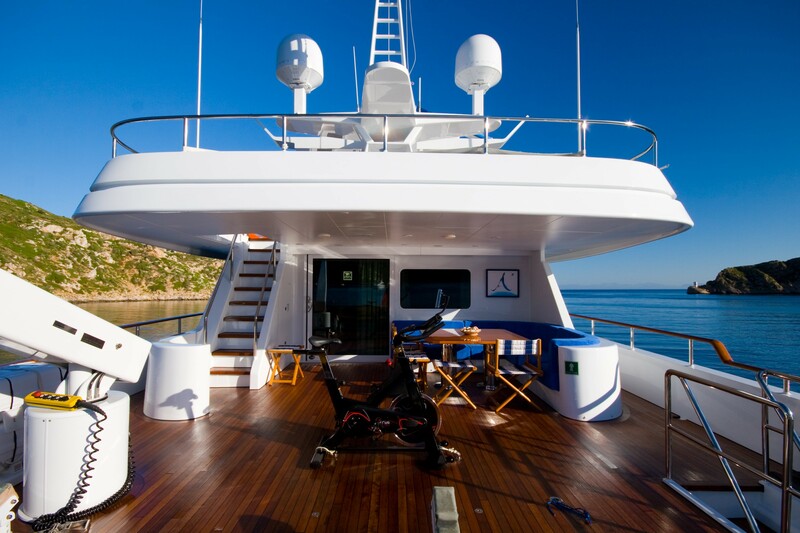 Motor yacht ‘Alcor’ is a luxury charter yacht based in Puerto Portals- Mallorca, Balearic Islands, Spain. 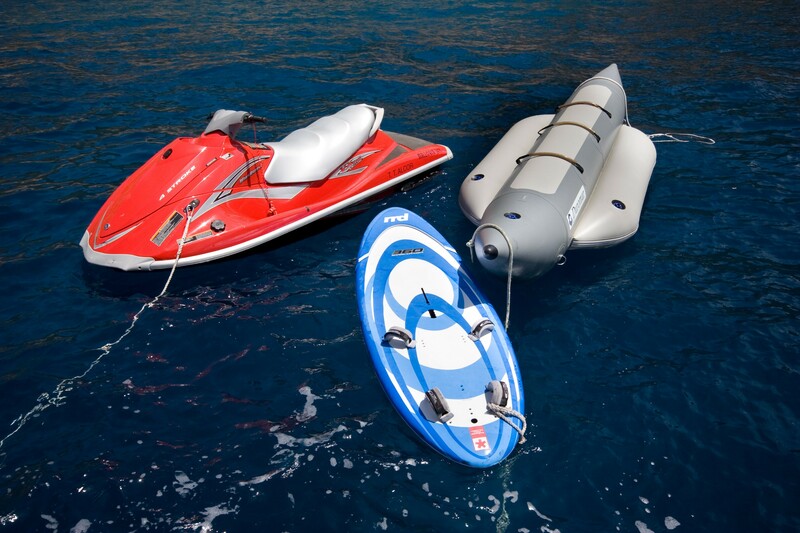 She holds MCA classification and has the necessary Charter License to cruise in Spanish waters. 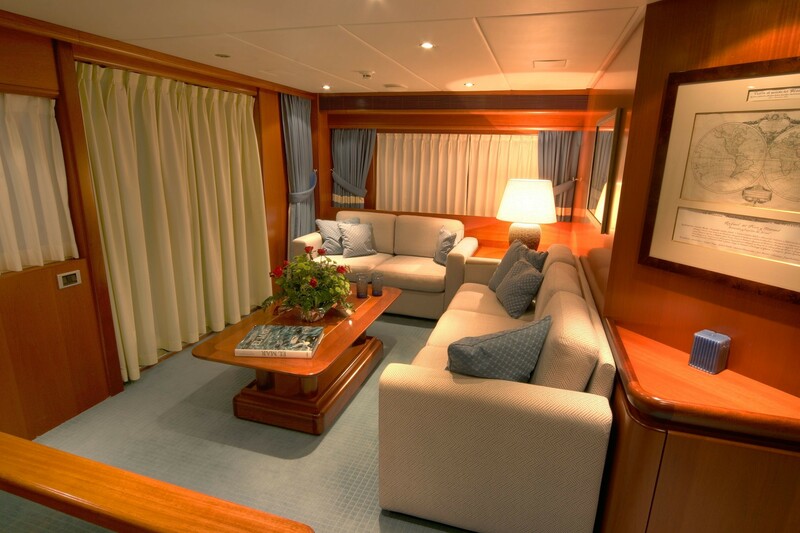 She has a crew of 6 and can accommodate 10-12 guests in 5 cabins with 2 Pullman bunks. 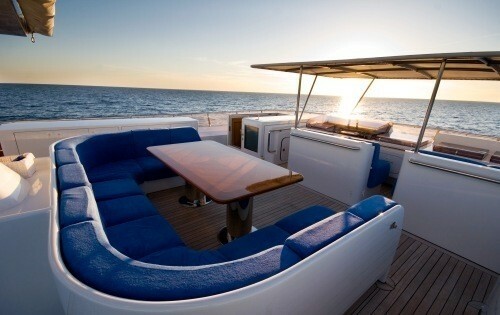 Alcor is a spacious tri-deck charter yacht. 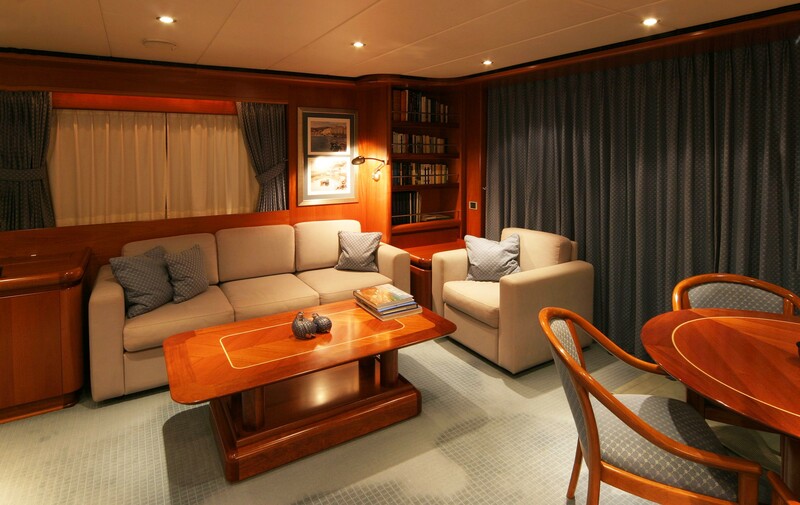 On the main deck, her aft deck with tables and chairs leads into the large main Saloon with an adjoining dining area. 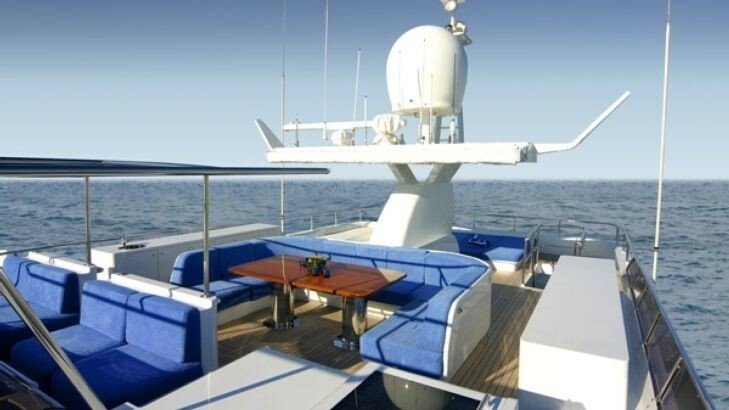 She also has a second saloon on the next level which leads out onto an upper deck with further seating. 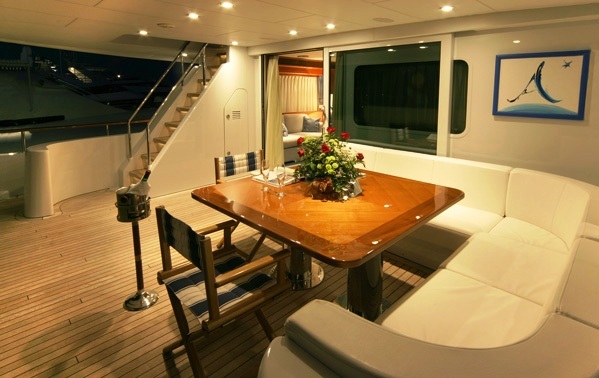 On the flybridge, Alcor has yet another dining table with u shaped seating. 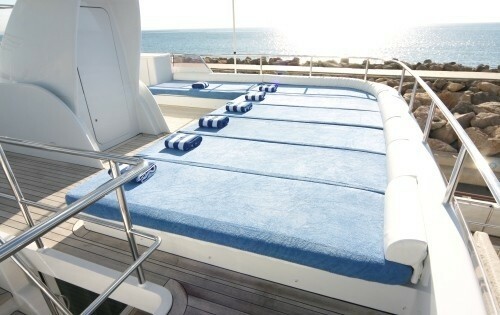 Large comfortable sun mattress at the aft of the top deck is perfect for soaking up the Mediterranean sun. 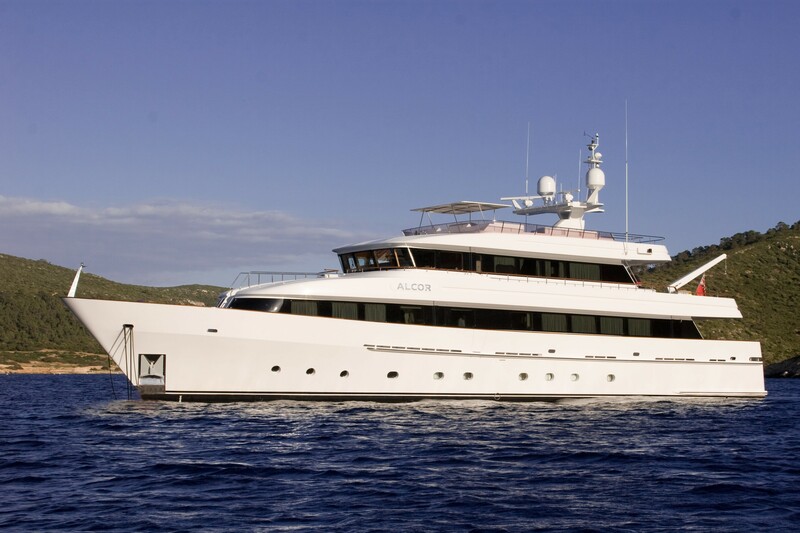 Overall, Alcor is a fantastic motor yacht and is proving to be popular, not only because she is great value for the number of guests she can accommodate but also because she is legal to charter in one of the most beautiful areas of the Mediterranean, the Balearic Islands, Spain. 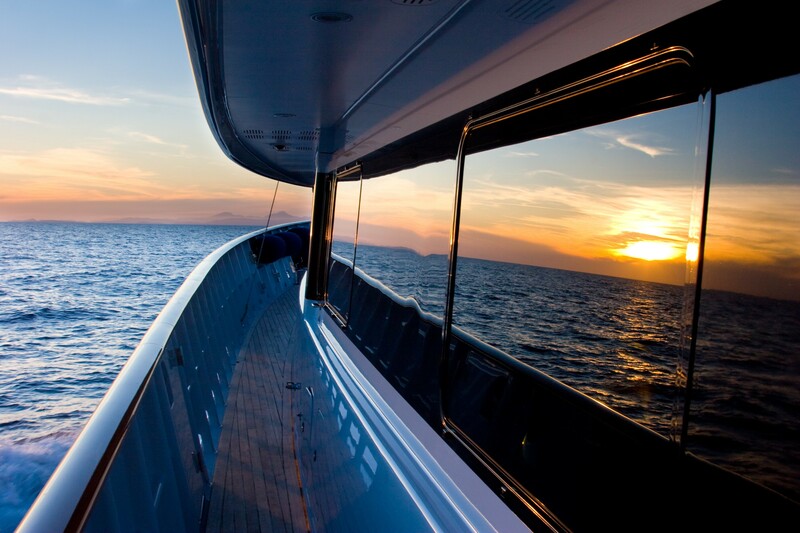 Please note that Spanish IVA (VAT) is due on the charter fee for charters in Spain. 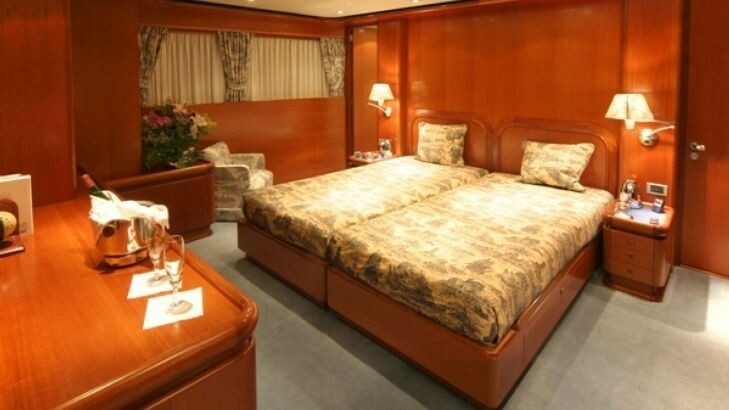 Palma based motor yacht ALCOR provides luxury charter accommodation for up to 10-12 yacht charter guests in 5 comfortable cabins including a full width Master cabin on the main deck and 4 twin cabins on the lower deck. 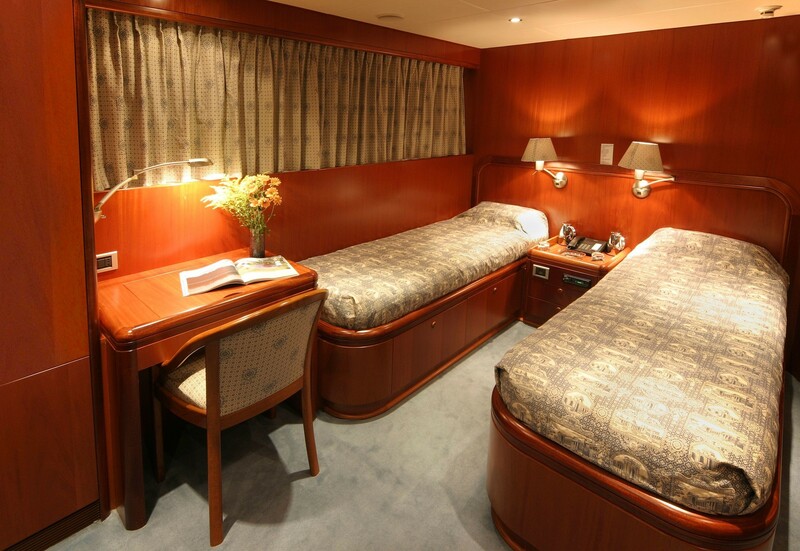 There are a further two Pullman berths in two of the twin cabins. 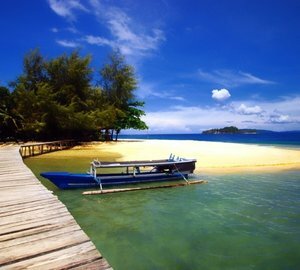 All cabins have ensuites shower rooms.